This Friday! 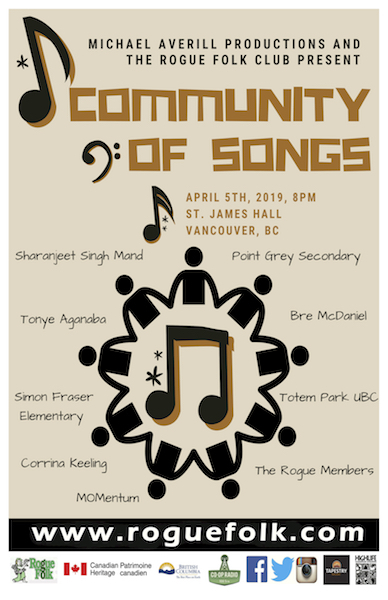 Don't miss Michael Averill's amazing Community Of Songs Project! Vancouver songwriter and travelling troubadour extraordinaire Michael Averill presents the culmination of six months' work with a variety of songwriters - some in groups, some solo / duo performers - in a uniquely exciting project called Community Of Songs. Students from Simon Fraser Elementary School, Point Grey Secondary School, residents of Totem Park at UBC, a group of inspired friends and mothers called MOMentum, a few Rogue Folk volunteers, and songwriters Bre McDaniel, Tonye Agonaba, and Corrina Keeling, as well as sitar player Sharanjeet Singh Mand (who recently arrived from India) have worked with Michael to write songs and learn the craft of songwriting and song presentation from this accomplished and inspirational performer. 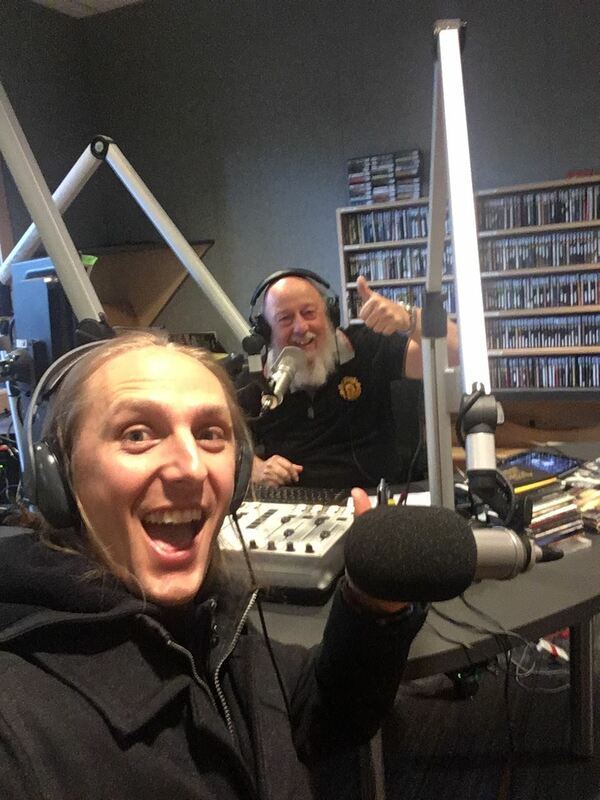 I had no idea how things were progressing - other than receiving glowing reports from various participants over the last few months - so I invited Michael to join me at CiTR last Saturday morning to talk about the project and to give us an idea of what to expect. Here is the link to that interview. With all these performers on the Rogue stage at various times during the evening it sounds like it will be an incredible show! Tickets are only $10 each, or $20 for a family of four. Tickets will also be available at the door - but it will likely sell out, so get there early! This project was made possible by a grant from Metro Vancouver.